It felt like every band in the 2005-2008 era had the longest song titles ever, including Fall Out Boy. Was there something in the water back then? Actually, long titles have always been a thing in music and — surprise — there are longer song titles than on Fall Out Boy's album From Under The Cork Tree , which is celebrating its 10th anniversary. Yes, even longer than "Champagne For My Real Friends, Real Pain For My Sham Friends," and “I Slept With Someone in Fall Out Boy and All I Got Was This Stupid Song Written About Me." But super verbose names were a thing before Fall Out Boy and they continue to live on. Here are five super lengthy song titles — way longer than "Our Lawyer Made Us Change the Name of This Song So We Wouldn't Get Sued" (that's another real one). Um, TMI much? This very long-titled track comes from the band's first EP in 1996, Oh Lord! When? How? This instrumental tune doesn't need lyrics — the song title says it all, doesn't it? These Brits rock out in this tune that actually doesn't even include its verbose title in the chorus. The track comes from the equally long-titled album Whatever People Say I Am, That's What I'm Not. The Las Vegas band behind this song was discovered by Wentz and signed to his Decaydance Records. Did their long song titles have something to do with it? 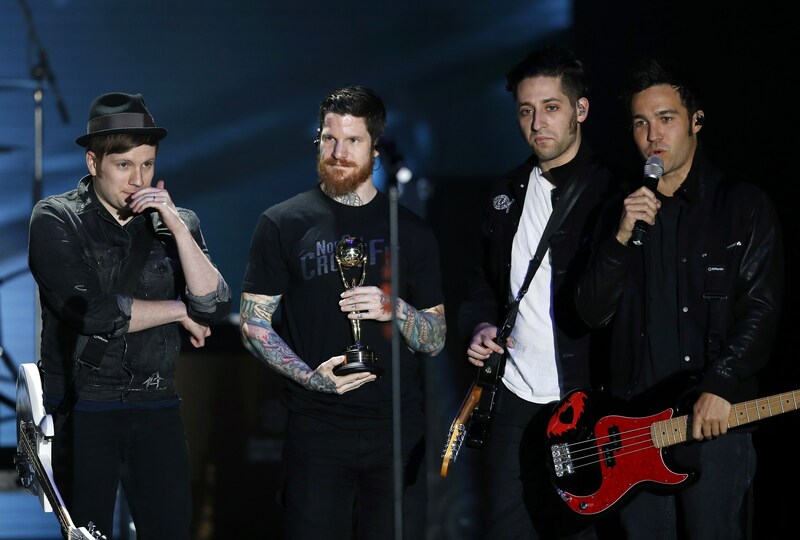 Or did those come from the influence of Fall Out Boy? I can only wonder. The title is exactly what the song sounds like — small furry animals doing their thing. And it's just weird as it sounds, but hey, at least the long song title gives us all fair warning.